How much is Emma Forrest Worth? Emma Forrest net worth: Emma Forrest is a British American journalist, novelist, and screenwriter who has a net worth of $4 million. Emma Forrest was born in London, England in December 1976. She has dual citizenship in the United Kingdom and the United States. Forrest has authored the novels Namedropper in 1998, Thin Skin in 2002, and Cherries in the Snow in 2005. She authored her memoir Your Voice In My Head in 2011. Emma Forrest contributed to the anthology Love & Squalor in 2001 and co-write and edited the book Damage Control – Women on the Therapists, Beauticians, and Trainers Who Navigate Their Bodies in 2007. 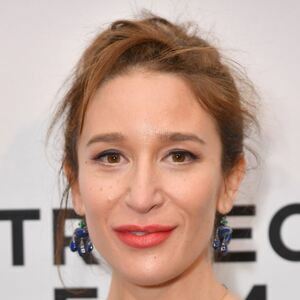 She wrote and directed the 2018 film Untogether. Forrest has also written the screenplays Becoming Music, LIARS (AE), Know Your Rights, and How Could You Do This To Me. She married Ben Mendelsohn in 2012 but divorced in 2016. Emma Forrest was formerly in a relationship with Colin Farrell.